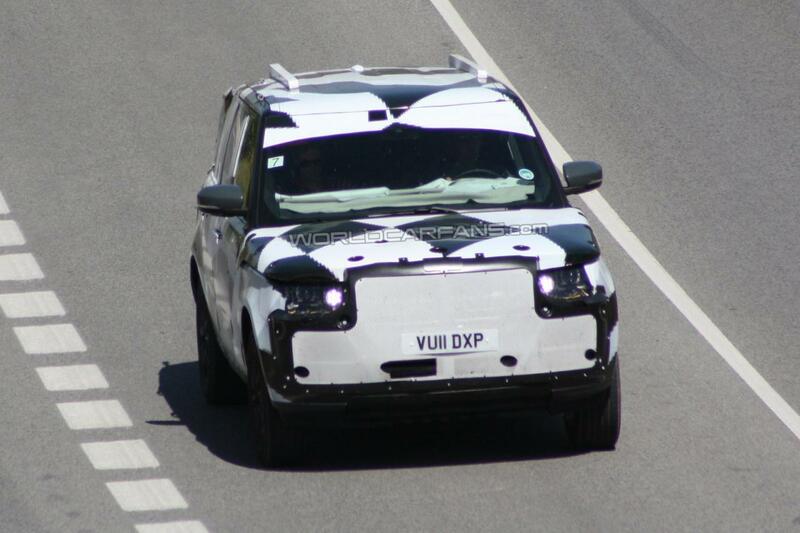 Spies have caught the next incarnation of the Range Rover as the brand continues to test its flagship model. 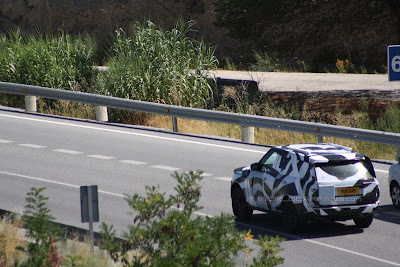 Nabbed here in Sierra Nevada, Southern Spain, wearing black and white camouflage, the newcomer seems to hit the perfect balance between the original Range Rover and the sporty, contemporary styling of the smaller Evoque. Per se, a sloping roofline, clamshell bonnet, and LED headlights will feature. 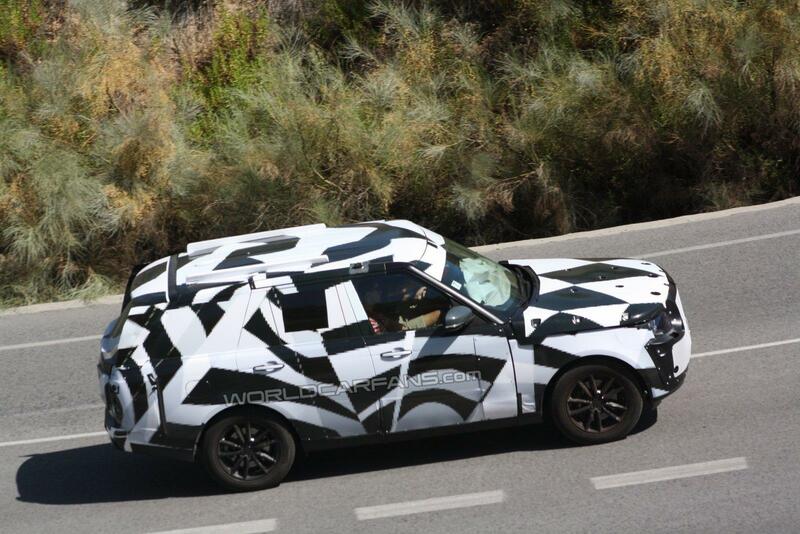 Like the current line-up, two models will be offered; a cheaper Sport and the actual Range Rover Vogue itself. Although being larger than the outgoing model, the luxury SUV will weight 400kg (881lbs) less than today's model, thanks to an aluminium chassis that allows for improved handling and lower running costs. The number plate is registered to a 2011 Range Rover Sport Autobiography, meaning this particular prototype is the range-topper and is powered by a 3.0 litre SDV6 with 255bhp. The current engine line-up will be carried over, which consists of a 4.4 litre TDV8 and a 5.0 litre Supercharged V8. Expect a healthy price increase over the current £48,000 for the Sport and £69,500 for the Vogue. The pipeline will include a hybrid and plug-in hybrid variants.